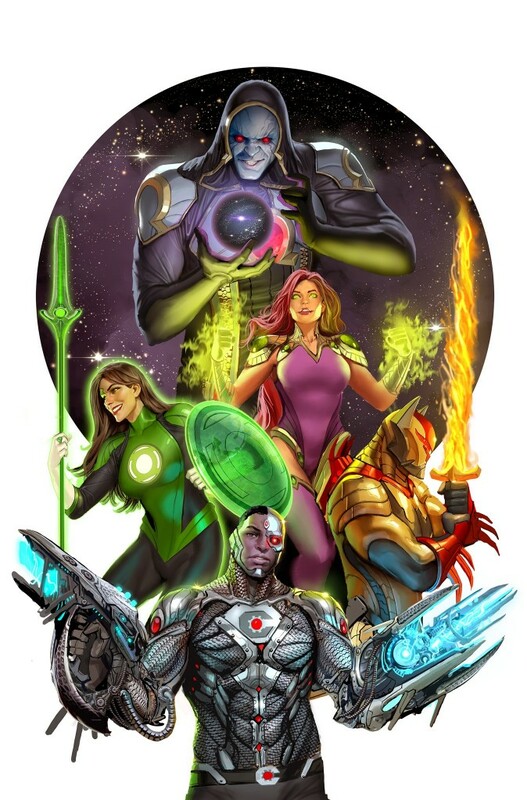 Two all-new Justice League titles will debut from the May miniseries, each featuring new team rosters: JUSTICE LEAGUE DARK, written by Tynion with art by Alvaro Martinez, Raul Fernandez (inker) and Brad Anderson (colors) and JUSTICE LEAGUE ODYSSEY, written by Williamson, with art by Stjepan Sejic. Both titles are scheduled to launch in June. Snyder wasn’t finished there; he hinted that the conclusion of METAL #6 would have repercussions throughout the DC Universe, and he wasn’t kidding when he announced that Adam Glass, writer for popular TV shows Supernatural and Criminal Minds: Beyond Borders would be joining fan-favorite artist Bernard Chang as the new talent team for TEEN TITANS, beginning with issue #20 in June. In addition to Damian Wayne (Robin) leading Kid Flash and Red Arrow into new adventures, several completely new characters will be added to the roster, including the daughter of the Main Man and everyone’s favorite(?) Czarnian, Lobo!